Call 1-855-MED-ASKS Today for a Free Consultation With a Medical Malpractice Attorney. By the time you finish reading this article, someone will have filed a medical malpractice lawsuit. Think about it. Every day claimants are seeking payment for pain and suffering endured at the hands of medical negligence. Courts are distributing jury awards for injuries or deaths resulting from medical malpractice events. This is an ongoing process. Before you jump into the pool, get prepared and seek competent legal guidance. Learn as much as you can about medical malpractice and the law. Consult with an attorney who can explain the difference a top-quality legal firm and experience can make for you. Researchers have identified medical malpractice as the prime cause of drastic injury and death in the United States. Pundits on medical negligence acknowledge that medical malpractice is the third largest cause of death and serious injury in the U.S. The number of victims is astounding. When researching medical malpractice, you can seek information at medical malpractice lawyers by injury type and state. There are many professionals to interview and with whom you can discuss your circumstance. Medical malpractice cases have many layers and it is essential to have a competent legal team on your side. Research is key. Having knowledge gives you power. Read some of the queries and thoughts of others looking for guidance and advice regarding medical malpractice at frequently asked questions about medical malpractice. Laws and regulations are for your own good. When a situation arises that gives you a reason to think you have a cause for medical malpractice, it is good for you to know some of the legal standards that explain and interpret medical malpractice. Getting a grasp of medical malpractice begins with understanding that it is any act or omission where a physician, medical practitioner, or healthcare provider cause harm and injury to the patient. Each case is unique. Medical malpractice comes under the legal standards that monitor whether a member of the medical community deviates from the normally accepted standards of good medical practices. Medical malpractice is a form of tort law, which deals with civil inappropriate actions. This law offers relief for patients who suffered damage and harm because of the unwarranted actions of others. Medical malpractice addresses medical negligence in the healthcare professions and endeavors to rectify issues where medical experts delivered to patients substandard care that led to the injury. The law interprets medical negligence as any conduct that fails to follow the standards of the profession. 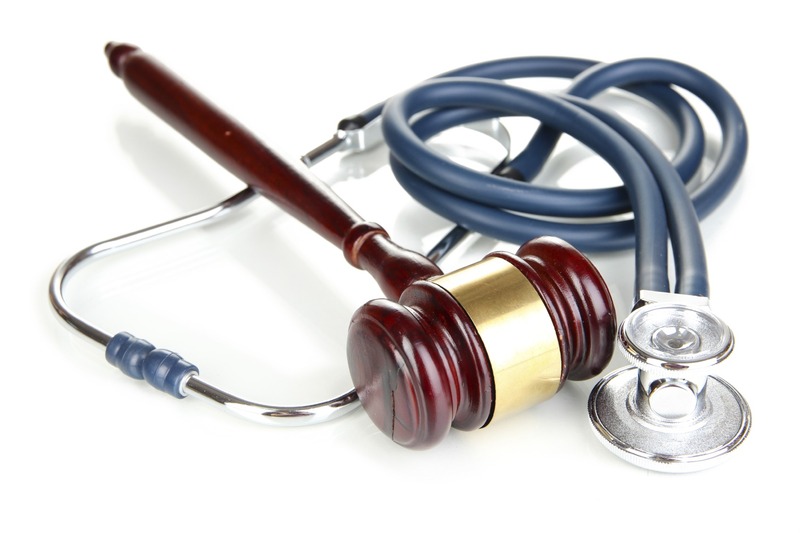 The medical malpractice laws apply to trained and licensed members of the healthcare community. Most surgical procedures require general or local anesthesia. Because of the importance of anesthesia and the consciousness of the patient, the physician providing the anesthesia must be exact and precise. To be exact and precise, the anesthesiologist factors the patient’s age, weight, gender, drug allergies, medical history, and other elements. If the physician rushes over this step and gets careless, he or she can make an error that can cause extreme complications that may result in damage and injury, and could lead to death. Failure to diagnose and misdiagnosis are categories of medical malpractice. An incorrect medical diagnosis can cause the patient to suffer and potentially experience life-threatening outcomes. An array of medical conditions, such as cancer, progresses through several stages. Because of the levels of staging, identifying early stages can impact whether the illness is treatable, and catching the disease in later stages can prove fatal. Patients trust the physician and put their lives in his or her hands. Patients depend on the correct diagnosis. Failure to identify the appropriate diagnosis can cause the patient to undergo treatment options that are inadequate, and actions that cause pain and gruesome side effects. If there is a lack of treatment because of an inadequate diagnosis, the patient’s condition may advance without recognition or treatment. At this same time, the patient may not be receiving the appropriate treatments or intervention to take care of the condition. This can cause the circumstance to worsen. Sometimes the incident advances to the point where it becomes inoperable. If a doctor does not diagnose a condition that he or she should have identified, this constitutes a lack of appropriate care and is a form of medical malpractice. Under this context, your doctor is liable for damages resulting for this inadequate and substandard care. Many medical malpractice cases focus on surgical errors. Some of these errors are elusive. The dramatized errors of amputating the wrong leg or removing an organ in error are exaggerated. Fails to practice proper preoperative care. Fails to account for a pre-existing condition that requires special care. Does not follow established procedures. Fails to adequately protect the surgical site from infection. Fails to conduct post-operative procedures or did not adequately provide post-treatment instructions for self-care for the patient. As a patient, you always have the right to make an informed decision regarding your health situation. Informed decisions are your rights to elect to undergo some medical procedures. If you are injured in an emergency or are incapacitated and unable to speak, physicians have some legal flexibility to operate without having prior consent from you. In usual situations, doctors have a legal obligation to discuss the circumstance, diagnosis, and treatment choices with you and obtain informed consent before they start a medical process. If your physician begins to treat you without your permission or against your wishes, or if the doctor does not discuss with you the protocol and alternatives, the doctor is conducting himself or herself in a careless manner and without regard for your choice for treatment. You should be highly involved in making decisions for your healthcare. If the medical professional does not inform you and include you in the treatment choices, this is a facet of medical malpractice. If you get injured during therapy that you were not informed of, or if other options were not presented to you, the doctor may be liable for damages. When you go to the doctor, you expect to get assistance and feel better. However, each year more than 2 million patients get healthcare-associated infections (HAIs) that cause nearly 100,000 patient deaths. Researchers have proven that infections are the most hazardous complications of hospital care, and the most common infection is Methicillin-Resistant Staphylococcus Aureus (MRSA). The Centers for Disease Control and Prevention (CDC) has research results that show one in every 20 hospitalized patients contracts an HAI. Almost everyone working with a physician or healthcare professional comes in contact with medications. Errors occur with the dosage amounts, administration methods, and mixtures or interactions among drugs. These mistakes can injure patients and qualify as medical malpractice. Occasionally, a medical provider accidentally administers medications that cause allergic reactions in some patients. These errors result in patient harm, and the damage can qualify as medical malpractice. We all realize that healthcare workers are under stress and have a demanding job. These healthcare employees have challenging jobs that cause fatigue, and they often work extended hours or overtime. Medical facilities that do not usually provide facilities to workers for resting or sleep to relieve fatigue, may be at risk for medical malpractice. Excessive fatigue can cause careless mistakes and injuries to patients. If you think you may have a potential medical malpractice case, study the common causes of medical malpractice situations. Know about the causes. Stay informed and be prepared to seek top-notch professional legal help. Get a pro on your side. Put a lawyer with experience to work for you. Call the legal team at Newsome Melton today. We can help you pursue the fair compensation you deserve. For a free case evaluation, call 1-855-MED-ASKS.